I just got word that I am elected as fellow of the European Stroke Organisation. Well, elected sounds more cool then it really is… I applied myself by sending in an application letter, resume, some form to show my experience in stroke research and two letters of recommendation of two active fellows and that’s that. So what does this mean? Basically, the fellows of the ESO are those who want to put some of their time to good use in name of the ESO, such as being active in one fo the committees. I chose to get active in teaching epidemiology (teaching courses during the ESOC conferences, or in the winter/summer schools, perhaps in the to be founded ESO scientific journal), but how is as of this moment not completely clear yet. Nonetheless, I am glad that I can work with and through this organisation to improve the epidemiological knowledge in the field of stroke. A new publication became available, again an ‘educational’. However, this time the topic is new. It is about the application of directed acyclic graphs, a technique widely used in different areas of science. 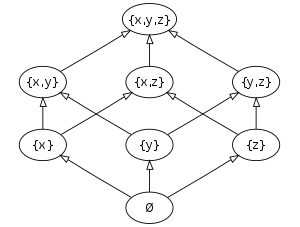 Ranging from computer science, mathematics, psychology, economics and epidemiology, this specific type of graphs has shown to be useful to describe the underlying causal structure of mechanisms of interest. This comes in very handy, since it can help to determine the sources of confounding for a specific epidemiological research question. But, isn’t that what epidemiologist do all the time? What is new about these graphs, except for the fancy concepts as colliders, edges, and backdoor paths? Well, the idea behind DAGs are not new, there have been diagrams in epidemiology since years, but each epidemiologist has his own specific ways to draw the different relationship between various variables factors. Did you ever got stuck in a discussion about if something is a confounder or not? If you don’t get it resolved by talking, you might want to draw out the your point of view in a diagram, only to see that your colleagues is used to a different way of drawing epidemiological diagrams. DAGs resolve this. There is a clear set on rules that each DAG should comply with and if they do, they provides a clear overview of the sources of confounding and identify the minimal set of variables to account for all confounding present. So that’s it… DAGs are a nifty method to talk the same idiom while discussing the causal questions you want to resolve. The only thing that you and your colleague now can fight over is the validity of the assumptions made by the DAG you just drew. And that is called good science! The paper, with first author MMS, appeared in the methodology series of the journal Nephrology Dialysis and Transplantation, can be found here in pdf, and also on my mendeley account. I worked together with some partners on a new workshop for young epidemiologist. The title says it all: WEON preconference workshop ‘crash course peer review’. Unfortunately, we had to cancel the workshop because the number of participants was to low to justify the effort of not only myself, but especially all the other teachers. I think it is a pity that we had to cancel, but by cancelling we still have a fresh start whenever we want to try again in a different format. Whilst preparing this workshop I noticed that peer review, or a better term would be refereeing, is not popular. It is seen as a task that task up to much time, with too much political consequences and little reward etc. New initiatives like Pubmed commons and other post publication peer review systems are regarded by some as answers to some of these problems. But what is the future of refereeing, when young epidemiologist are not intrinsically motivated to contribute time and effort to the publication process? Only time will tell. For those who are still interested in this crash course, please contact me via email. Dokter zijn gaat verder dan alleen het behandelen van één patiënt. Onze beroepsgroep heeft een bijzondere positie in de samenleving; mensen leggen letterlijk hun leven in je handen. Naast je arts-patiëntrelatie heb je ook te maken met de wetenschap, beleidsmakers en de farmaceutische industrie. Aankomende artsen moeten daarvan bewust worden en goed op de hoogte zijn van de ontwikkelingen in hun veld. Dit boek sloeg de spijker op zijn kop. one little error slipped in… I am not a doctor and therefore it is officially not ‘onze beroepsgroep’ but i think people will grasp the point that I try to make. The complete article can be read here. After 7 months of preparation the new and improved version of the second year course ‘Academic and Scientific Training’ is about to start. Tomorrow, 300 students will come together for two weeks to learn the how and why of clinical epidemiology. We emphasize on testing new treatments in RCT, and how doctors should critically appraise the articles that describe these studies. Together with AvHV, JS and others we were able to secure funding to buy 400 copies of the book “Bad Pharma” (click for more background) In order to organise a ‘Bad Pharma Symposium’. In this symposium, all students will read the whole book, do some research on three topics which will be debated in the final debate. This will take a lot of commitment of all students, but what to think of the 40+ Teaching Assistants that we need for this course! All in all, it’s time to start! I just got word that we got funding from an external to buy 400 copies of Bad Pharma to use as instruction material in our redesigned course on academic and scientific education. The book touches upon the role of the pharmaceutical industry in the design, execution, presentation and dissemination of results of clinical trials. The author, Ben Goldacre, identifies several problems and brings forth several solutions. But are these all correct? We will use this basic question as the basis for a complete symposium on this topic: are the problems identified by Goldacre the real problems, or just cherry picked examples from the past? And are the solutions that he provides real solution that could work? And can we think of any other way to improve the care of our patients in the future? I had this idea a long time ago when i first read this book. It touches upon a matter that is discussed in the old version of this course for a couple of years. Even more so: during this course students are asked to grade the quality of trials and the subsequent reference to this publication. The results show that the quality is often low, even in high impact journals, and that the references do not always justify the claims made in medical advertisements. These results have been published in several publications and are even cited in the book. It was quite a hassle to get a ‘normal’ book into the curriculum of our medical center. Most people liked the idea of reading a book and organising a symposium, but a lot of people told me that it was impossible to do so. A “normal” book could not be placed on the mandatory reading list, and just buying electronic or hard copy versions is just way to expensive. luckily, with help from the Walaeus Library of the LUMC and prof FMH we were able to obtain external funding. And no, its not funded by ‘big pharma’, but a small fund that subsidises small but nice projects that make the world a bit smarter.